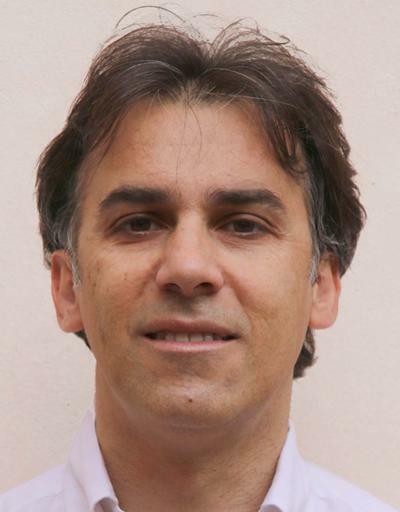 Professor Roberto Lot is Professor of Automotive Engineering within Engineering and Physical Sciences at the University of Southampton. Roberto Lot got a MSc in Mechanical Engineering and a PhD in Mechanics of Machines, respectively in 1994 and 1998. After being appointed Lecturer of Mechanics of Machines at the University of Padova in 1999, he was promoted to Associate professor in 2005. In 2014 he was appointed as Professor of Automotive Engineering at the University of, within the Energy Technology Research Group. He has significant experience in the motorcycles dynamics and control field, his research interest includes handling, comfort, safety systems, vehicle performance, driving simulators applied to a range of vehicles from small scooter to racing motorcycles, comprising also electric and three-wheeled vehicles. His activity in the motorsports sector includes motorcycles, racing cars and go-karts. He has lead research projects founded by public organization and industries at national and international level, and published about 100 scientific articles. Yan, X., Fleming, J., & Lot, R. (Accepted/In press). Extending the range of Plug-in Hybrid Electric Vehicles by CVT transmission optimal management. Energy Procedia. Li, X., Evangelou, S. A., & Lot, R. (2019). Integrated management of powertrain and engine cooling system for parallel hybrid electric vehicles. In 2018 IEEE Vehicle Power and Propulsion Conference: VPPC 2018 (pp. 1-8). (IEEE Conferences). Piscataway: IEEE. Zhu, T., Lot, R., & Wills, R. (Accepted/In press). Optimization of dual energy storage system for high-performance electric vehicles. In 2018 IEEE Vehicle Power and Propulsion Conference: VPPC 2018 IEEE. Lane, T., & Lot, R. (2018). The link between roll and steering torque in motorcycles. In IAENG World Congress of Engineering 2018 International Association of Engineers. Lot, R., & Lane, T. (2017). A new test rig for motorcycle rider impedance measurement. Paper presented at 15th European Automotive Congress, Madrid, Spain. Zhou, H., Qiu, Y., Lot, R., Gao, J. D., & Yang, J. S. (2017). A vehicle-human model for analysis of ride comfort predominated with vertical and pitch motions. In M. Spiryagin, T. Gordon, C. Cole, & T. McSweeney (Eds. ), Dynamics of Vehicles on Roads and Tracks: Proceedings of the 25th International Symposium on Dynamics of Vehicles on Roads and Tracks (IAVSD 2017), 14-18 August 2017, Rockhampton, Queensland, Australia CRC Press. Lot, R., Dal Bianco, N., Massaro, M., & Veneri, M. (2017). Optimal control of road vehicles: Direct and indirect approaches. Paper presented at 15th European Automotive Congress, Madrid, Spain. Lot, R., & Fleming, J. (2017). Passive gyroscopic stabilization of powered two-wheel vehicles. Paper presented at 15th European Automotive Congress, Madrid, Spain. Zhou, H., Qiu, Y., & Lot, R. (2016). Effect of lumbar support on vibration transmission of a car seat with occupant exposed to fore-and-aft whole-body vibration. Paper presented at 51 UK Conference Human on Responses to Vibration, Gosport, United Kingdom. Lot, R., Massaro, M., Cossalter, V., & Sadauckas, J. (2016). Using simulators for the assessment of handling of motorcycles. Paper presented at Symposium on the Dynamics and Control of Single Track Vehicles, Milwaukee, United States. Lot, R., & Dal Bianco, N. (2015). The significance of high-order dynamics in lap time simulations. Paper presented at IAVSD 2015: 24th International Symposium on Dynamics of Vehicles on Roads and Tracks, Austria. Lot, R., & Biral, F. (2014). A curvilinear abscissa approach for the lap time optimization of racing vehicles. 7559-7565. Paper presented at 19th IFAC World Congress on International Federation of Automatic Control (IFAC 2014), South Africa. Lot, R., & Evangelou, S. A. (2013). Lap time optimization of a sports series hybrid electric vehicle. 1711-1716. Paper presented at World Congress on Engineering - WCE 2013, United Kingdom. Cossalter, V., Lot, R., & Massaro, M. (2012). The significance of powertrain characteristics on the chatter of racing motorcycles. 607-613. Paper presented at ASME 2012 11th Biennial Conference on Engineering Systems Design and Analysis, ESDA 2012, France. Cossalter, V., Lot, R., Massaro, M., & Peretto, M. (2011). Investigation of motorcycle steering torque components. 35-46. Paper presented at AIP conference 2011, United States. Cossalter, V., Lot, R., Massaro, M., & Peretto, M. (2010). Motorcycle steering torque decomposition. 1257-1262. Paper presented at WCE 2010 - World Congress on Engineering 2010, United Kingdom.